From Sears, to Sephora, Forever 21 and even Nordstrom, all you need to do is sign up for an account and you'll start saving. I love the fact that you can subscribe to receive updates on your favourite store's promos, so you can scoop up pair of cute denim heels like the ones featured above from Forever 21. Whenever I'm placing an online order at Sephora, I tend to scour the net for hours trying to find the best code to apply. 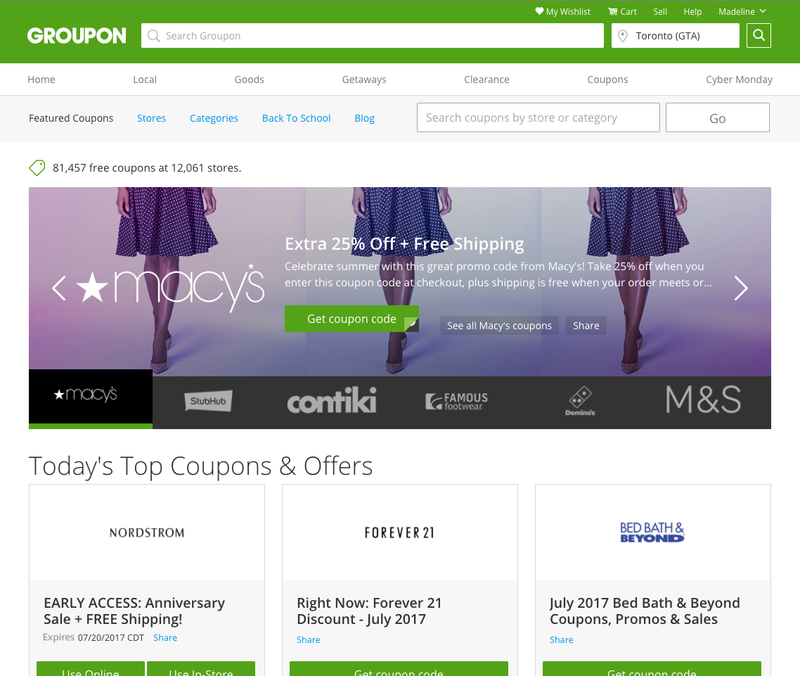 Groupon Coupons has corralled them all together so you can scroll down the list and find which code suits your needs, and you can even find out how many times other shoppers have used that code too. Find the Sephora codes here. Some of my personal US shopping faves are Macy's and Nordstrom, which ship to Canada. The featured deals are so worthwhile, since a store like Sears will offer $10 off any order of $20 or more - both in-store and online! Get the offer here. If you haven't signed up for Groupon yet, head over to their site here and jump on the bandwagon. You'll quickly discover how saving money is fun, and totally addictive. Sponsored by Groupon. Referral links used.